From the moment we first come to know that we are in sha Allah going to welcome a new life in this dunya to the moment we last close our eyes, the journey is a roller coaster full of laughter, tears and moments of undulated joy. In sha Allah, this series is aimed at seeing how we women can become Productive Mothers by attending to the needs of our baby whilst preparing for our Akhirah and staying on course during the times when our morale hits a low. A new mother is a unique being. She stands at the threshold of a journey in which every step she takes can earn her immense reward in the dunya and akhirah. And every deed she does form the basis of an adult who is deeply and firmly rooted in the deen of Allah . “A woman is a shepherdess in charge of her husband’s house and children and she is responsible for them” [Sunan Abu Dawud]. So, how can a new mother become a productive new mother? “A successful woman is one who wakes up early and gets going,” says my mother, and I agree with her!Every time I stay awake after Fajr, I am able to complete my studies, finish my household chores and am more cheerful throughout the day. Don’t sleep after Fajr. Recite Quran and get on with your work for the day.Yes there will be days when you will not be able to wake up no matter how hard you try, but don’t make this a habit.If your child wakes you up in the middle of the night, recite the dua for waking up in the night. Do dhikr, make dua as you change the nappy or feed the baby. Offer 2 raka’ah of Tahajjud. Try your best to pray at the earliest.As you analyse your day and get into the rhythm, you will be able to manage praying on time often. “Don’t delay prayers or you WILL miss it. Housework never ends,” said a mother of three children and a one-month old baby. Making a to-do list for the tasks that needed my attention the night before or at Fajr helped me stay focused and also feel a sense of achievement at the end of the day. There are some excellent articles on tips for stay-at-home moms. You can also grab some handy mom-worksheets at the resources section. Use nap times for completing tasks that need your concentration the most. 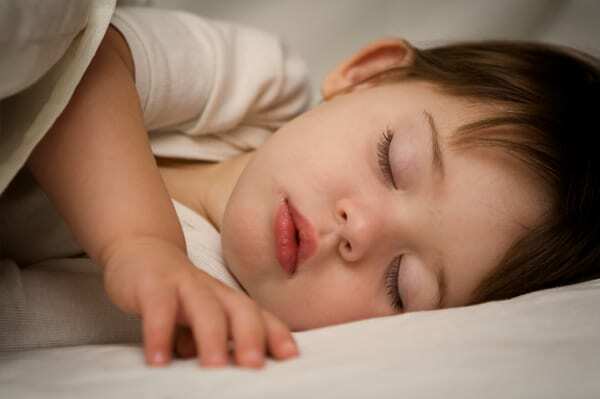 If the baby does not have a nap routine yet, then find his natural body pace and soon you will know the times when your child gets tired and needs a nap. If your little one still refuses to sleep, then put him or her in the sling and switch tasks. Go for grocery shopping, as the rhythmic movement of the trolley lulls the baby to sleep. Pyjamas, however comfy they may be, is not very good for productivity. So get out of them in the morning! Dress up the baby and yourself in clothes that you could leave the house in, so you could do so if need by without a big fuss. Read Qur’an while you feed milk to the baby or when she plays by herself. Let her see and hear you recite it. The earlier the child gets into the habit of seeing and hearing her mother recite the Qur’an, the easier it would be for you as she grows up to introduce her to Qur’an.Don’t aim for too much. Even a page is good. Make good use of the iPhones and iPods and smart phones by downloading the Qur’an on it. You can easily read the Qur’an without worrying about holding a big book. Do dhikr when you are driving or going for a walk with your baby. Instead of singing a lullaby, recite Surah Al-Fatiha [Qur’an: Chapter 1, Verse 1-7], or the names of Allah as He says,”And (all) the Most Beautiful Names belong to Allah, so call on Him by them.” [Qur’an: Chapter 7, Verse 180]Recitation is very soothing to the heart. Even Surah Al-Mulk [Qur’an: Chapter 67, Verse 1-30] can be recited at sleep time. When my daughter was a baby, I used to sing the ABC song as a lullaby, and as she grew up, she learnt her alphabet simply by listening to me. So I wish that this idea had come to me then.As a new mother, you should not lose the chance that Allah is giving you. It is good for both of you, as you get your reward while your child hears the words of Allah before sleeping and In sha Allah memorise it just by listening to you.Recite the duas for entering the bathroom, leaving the house, travelling aloud. This will be counted as worship for you and a good way of making the child memorize this dua. Some productive mothers have taught their children these small duas simply by reciting them loudly as they went about their day. As events at home settle down in their place, listen to lectures on YouTube or websites of scholars as you work around the house, cooking and cleaning. You will be amazed at how much you can learn this way.Listening to lectures while I was in the kitchen is how I started my journey into the deen. My husband often sighs as he dusts off the fluffs of flour on my laptop!You can make use of mp3 and iPods and wireless headsets to listen if your baby is napping. A sister who listened to scholars while working in the kitchen memorized a lot of his speeches.Attend halaqas, especially those that happen during the nap times of your child. Stock up milk, diapers, toys. A renowned woman scholar always took her young son with her to workshops and seminars and now that teenage boy is very active in da’wah work and very good at it. Early motherhood is a good time to memorise the Qur’an. If the baby wakes you up early as a routine, then welcome it and plan your mornings such that you offer Tahajjud and Fajr, and listen and memorize while attending to your baby’s needs.Be happy that Allah is helping you get up to meet Him and you can also start setting the routine for your baby to get up early in the morning – a habit which will make her/him get up for Fajr with ease, too. Analyse your day and look out for your “pockets of free time”. This is an excellent tip that I find really helpful.When does your husband and children get up? When does he leave for office? When does your child wake up? When is your child hungry? Find the pockets of time in which you are free i.e. when your baby naps, happily plays alone, or is taken over by doting grandparents. Use them to do something in the way of Allah . You can transcribe/translate and share lectures of scholars or speakers that you specially found helpful.A sister translated some lectures of a scholar from Urdu to English and shared them with her friends, and it was used for teaching purposes and reference work. It only takes 15 minutes for five days to gets one lecture transcribed and edited. If your child naps in the afternoon, then offer Friday salah in the masjid and give someone a ride. You can also cook pasta and send it over to the local Islamic Sunday school for their snack for kids. They will devour it! Subhan Allah, the beauty of Islam never ceases to amaze me. How Allah makes it possible to earn immense reward while simply feeding, winding, changing and soothing your baby to sleep. In sha Allah, when we meet next time, we will see how we can continue being a productive mother when our little angel has grown up and we have transitioned from being a new mother to a seasoned one. Are you a seasoned mother with tips to offer new mothers? Perhaps you could share some advice that helped you when you were a new mother, or that you wished someone told you earlier? Please leave them in the comments below, and let’s help our fellow sisters!